First of all, thanks to all Keyables.com readers' views and comments. We have gathered our readers' comments/information and updated to a better and simple method. You contributions is valued and appreciated. Now, say good bye to my previous old, redundant Nokia security code finding solution. Here is the updated and much more easier way to recover your Nokia security code. Download Nokia PC Suite if it was not already on your computer. Install Nokia PC Suite. It is very easy to setup everything because Nokia PC Suite provides helpful instructions along with the software installation and phone connection processes. After Nokia PC Suite installed necessary drivers, make sure your computer is able to recognize your Nokia phone device. Extract the newly downloaded NssPro zip file and runs NssPro.exe. 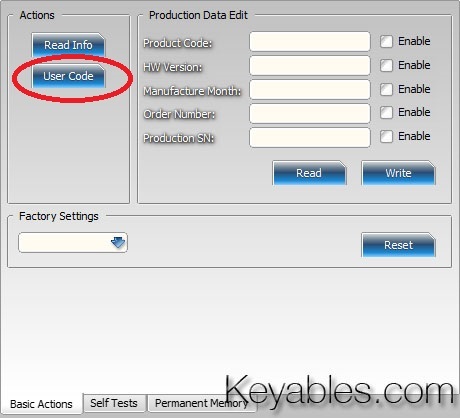 Under Actions section, click User Code. You will see "Init connection..." under Phone Management tab. Immediately, plug your Nokia phone device with USB cable and choose PC Suite connection mode on your phone. 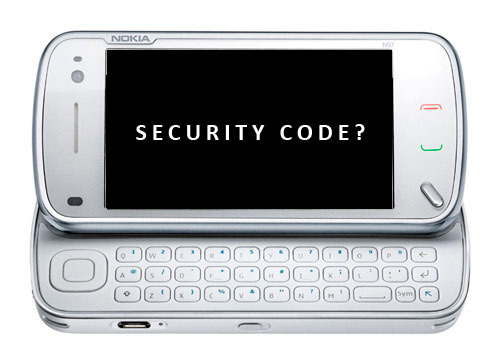 Nss Pro will begin to read your Nokia phone and shows you the Nokia Security Code (Possible code - underlined in red). Note: If Nss Pro shows "Init connection...Phone not found. ", please repeat step 6 to 7 again. When i plug my device with USB, i doesn't ask for connection mode and charges battery only. What to do? the the charger than you are using doesnot support data transfer . What is your Nokia phone model? Does Nokia PC Suite detect your device? this trick is very helpful for recovering my forgoton password. it works thank u sooooo much. my phn is 3100c n it works. This worked for my C3-00! Thank you so much. cheers man .. works perfectly! does it work in nokia asha 302? how do i select the nokia pc suite when my device is already locked? Plz rply me for this purpose bcz it is showing unit connection...phone not found. Absolute useless. This is presuming the phone is unlocked first but if you have forgotten the code, thats no possible. USELESS article. thanks.... Recovered my lost code. My big issue sorted within few minutes. hard reset password an tried this really works but before clicking User Code button phone must be already connected to make this works.